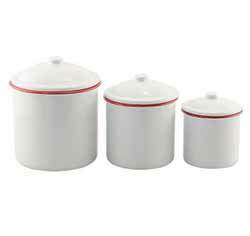 Jar up your flour, sugar, coffee, and tea in style with one of our canister sets! 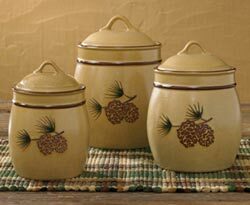 Our best selling lines by Certified International covers every kitchen style - chicken, farmhouse, tuscan, wine, country, beach, lodge, and more! 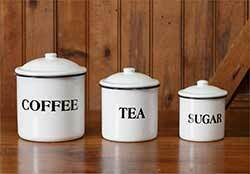 Large Coffee Bean Canister, by Tag. 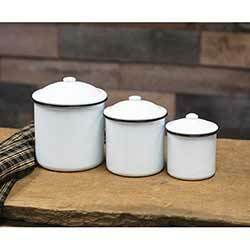 Large canister is the perfect place to store your coffee beans. Lid features bold coffee bean designs created with a wax-resist technique, and a rubber gasket seal to keep your beans fresh. 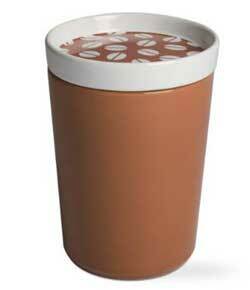 Measures 7.75 x 5.33 inches, 6 cup capacity, holds 1 lb of beans. Part of the Coffee Addiction Collection. Medium Coffee Bean Canister, by Tag. 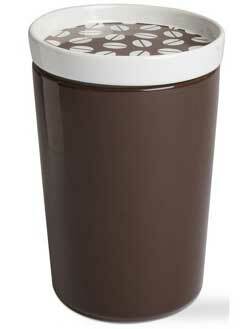 Medium canister is the perfect place to store your coffee beans. Lid features bold coffee bean designs created with a wax-resist technique, and a rubber gasket seal to keep your beans fresh. 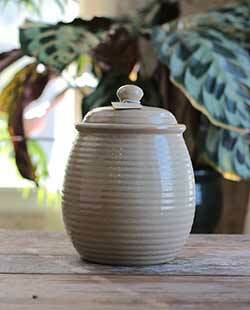 Measures 6.75 x 5 inches, holds 3/4 lb of beans. Part of the Coffee Addiction Collection. 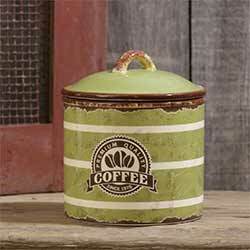 Add retro charm to your kitchen with this vintage style coffee canister! Features retro-style image with an aged look. 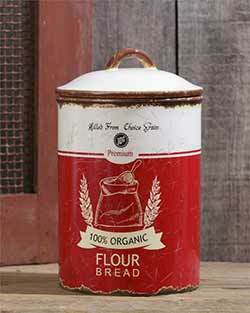 Add retro charm to your kitchen with this vintage style flour canister! Features retro-style image with an aged look. 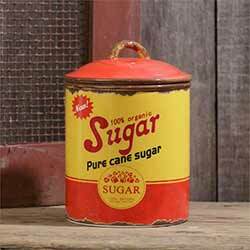 Add retro charm to your kitchen with this vintage style sugar jar! Features retro-style image with an aged look. 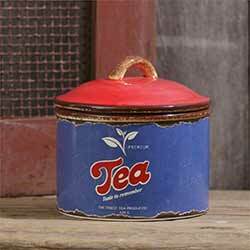 Add retro charm to your kitchen with this vintage style tea jar! Features retro-style image with an aged look.